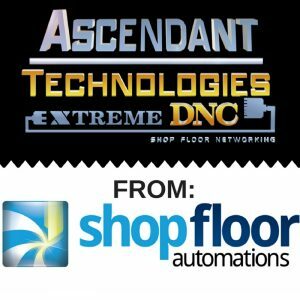 Predator DNC software and Ascendant eXtremeDNC software are two great tools for CNC networking of different CNCs, punch press, waterjets and other industrial equipment. They are each used to manage different types of programs. Ascendant eXtrmeDNC was the first DNC open architecture application for the 32-bit Windows operating system. It was first introduced in 1993, upgraded in 2010 to make it compatible with modern operating systems, and adapted to Ethernet, wired, and wireless hardware. It was developed for Windows NT 3.5 but with the modifications, it could be applied to some modern operating systems other than a Windows based OS. It works best in a Windows 7 or Server 2008 operating systems. However, the introduction of Predator DNC software revolutionized the CNC and DNC world. This is because of the enormous multitasking functions that can be performed on it. It has more capacity to upload, download, and drip-feed. Just like the Ascendant eXtremeDNC Software, Predator DNC Software has wireless and Ethernet support. Predator DNC also uses a “object-oriented” tool library to build on functionality as the user desires. The solution also allows for a full upgrade path to other modules, such as machine monitoring, product data management, and tool rib management. While eXtremeDNC has connection ports that could serve 1023 communication networks at a time, Predator DNC Software has 4096 connection and it can be used with 4096 machines simultaneously. This gives it more networking capacity. Still, eXtremeDNC software is a useful tool, it serves different purposes for its users. It is a smart architecture compliance server which supports transmission and effective maintenance of files. If a server failure occurs or there is a loss of server networking file transmissions are not disrupted. EXtremeDNC does not require a lot of setup and configuration. Out of the box, the product comes with several CNC templates ready to communicate to the machine tool The software enhances functions such as email notifications, it facilitates the auto tag, and renames standardization. It also enables control and easy integration of third party software. Another great aspect to eXtremeDNC Is the client/server functionality that provides true, real-time feedback as to the status of transfer. The licensing is flexible as well to purchase only the ports needed and floats without any additional modules. Read more below.